Cut the dress pattern, one for the front and one for the back. The card will fold at the ribbon, opening up. Cover front of card with Kaisercraft paper. 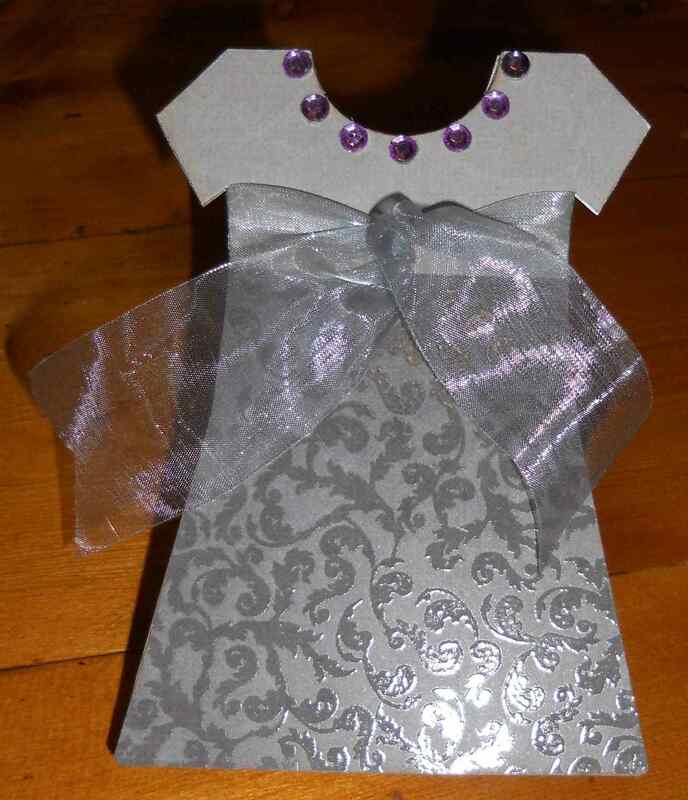 Embellish with ribbon and rhinestones.